Moving to Bolivia and figuring out all the shipping and packing details can be exhausting. When deciding what to take and what to leave behind, you need to know what Bolivia’s import laws are and which of your belongings they cover. This pertains to moving from Bolivia to another country as well, as export laws will apply. Special permits are often required. Before packing, your first step should be to inform yourself. The national Customs Service of your country of origin and that of the country of destination can both provide the necessary information and are probably the best sources that. Embassies and Consulates are a good place to start as well. And international freight forwarders are knowledgeable. When moving to Bolivia you will likely have to pay some import taxes when you transport your goods or belongings, and it may be a good idea to contract with a Bolivian company. 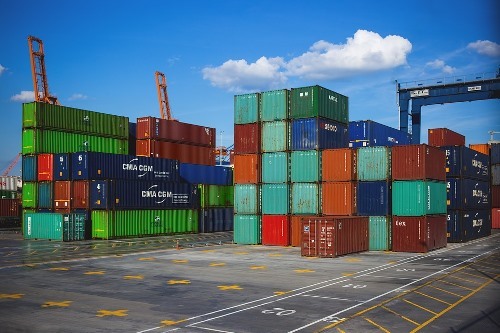 Good, well-established freight forwarding companies usually have contracts with freight forwarders and customs agents in other countries if they don’t have their own offices overseas, to receive cargo and goods, assist with customs clearance, and complete the process for the customer. Be prepared for long waits to receive your goods. Even if transport is fast (by air, for example) customs clearance can take a long time. If you transport by sea, your belongings will need to clear customs in the port of entry (in Chile or Peru) as Bolivia is landlocked, and will then be trucked to Bolivia, where they may need to clear customs again. Keep detailed lists of each and every item you send and copies of all documentation freight forwarders provide you. You will need these in order to claim your goods once they arrive, or to make an insurance claim if anything arrives damaged or, worse yet, does not arrive at all. There are literally thousands of shipping and moving companies all over the world that you could choose from. Choose whichever is best for you, but the we suggest you contact a shipping company in Bolivia, have your local shipper work in conjunction with one, or at least arrange for a Bolivian moving company to receive your container or shipment due to the difficulties with Bolivian customs clearance. When you hire a non-Bolivian company you have to hire a customs agent in Bolivia SEPARATELY (or grudge through it for weeks or months by yourself) to clear your belongings from customs. When you hire a Bolivian shipping company (for example for the Chile or Peru to Bolivia portion of the trip) many of them also provide the customs clearance services when your shipment arrives in Bolivia. THIS IS INVALUABLE!!! Customs is very complicated in Bolivia. There is rampant corruption and long delays are the norm. Av. Mariscal Santa Cruz Esq. BTC CARGO EXPRESS also specializes in shipping services to Bolivia too. They not only handle entire containers, they will ship ANYTHING to Bolivia including small packages. If you live in Bolivia, you can buy something online from OVER 500 online stores like Ebay and many others. You have it shipped to BTC and they will ship it to you in Bolivia. They will then do the invaluable CUSTOMS CLEARANCE for you too! To mail letters and small packages to Bolivia, refer to our section on mail and couriers and the national postal system. In most cases you will want to send your package via airmail. You should take your package directly to the post office to confirm the postage and to be sure that you have declared its value and contents on the necessary customs forms. Do not seal your packages prior to mailing. The content of packages weighing over 200 grams must be shown to postal personnel prior to sealing.